Belinda Petchell, MDI (CPDT) is the owner/trainer for Pawprint Dog Training. 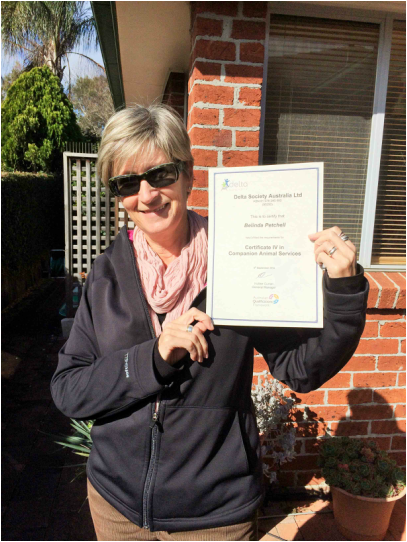 As an accredited Delta Trainer with a Certificate IV Companion Animal Services and professional member of the Delta Institute, Belinda is committed to providing the most effective, humane & convenient solutions to her clients' dog training needs. She pursues ongoing, continuing education and professional development by attending numerous seminars, workshops and conferences each year and keeps updated with current industry literature. Pawprint Dog Training puts clients first and is well respected and referred to by local vets. When not helping clients enjoy life with their dog companions, Belinda spends time with her three Poodles, enjoying activities such as agility and obedience.